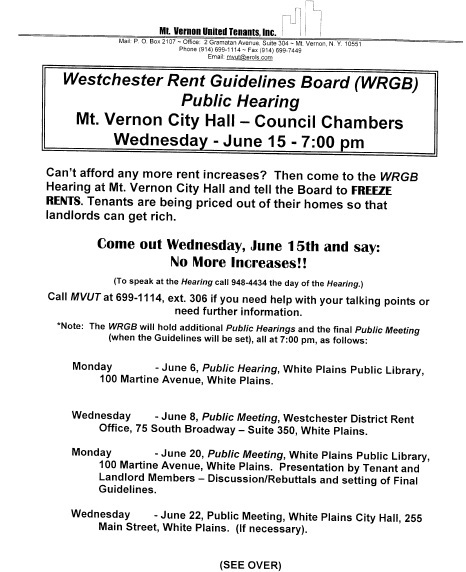 June 15 – Westchester Rent Guidelines Hearing in Mt. Vernon!! Can’t afford any more rent increases? Then come to the WRGB Hearing at Mt. Vernon City Hall and tell the Board to FREEZE RENTS. 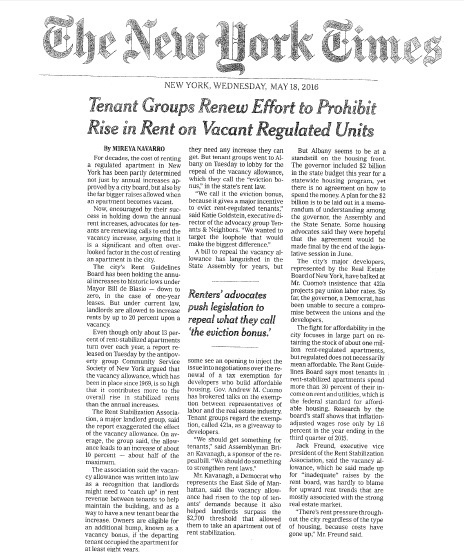 Tenants are being priced out of their homes so that landlords can get rich. Come out Wednesday June 15th and Say “NO MORE INCREASES”!! Call Mount Vernon United Tenants (MVUT) at 699-1114, ext 306 if you need help with your talking points or need further information. 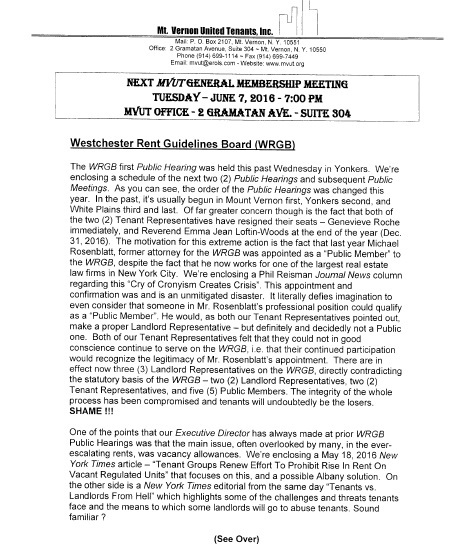 Monday, June 6, Public Hearing, White Plains Public Library, 100 Martine Avenue, White Plains. Monday, June 20, Public Meeting, White Plains Public Library, 100 Martine Avenue, White Plains. 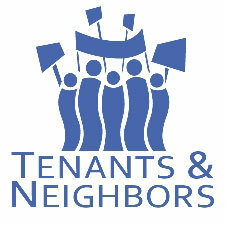 Presentation by Tenant and Landlord Members — Discussion/Rebuttals and setting of Final Guidelines. Our next membership meeting will be on Tuesday, June 7 at 7:00 PM at the MVUT office, 2 Gramatan Avenue, Suite 304A in Mount Vernon.